Snrky: We must not understand the company at all. We must not understand the company at all. Title: We must not understand the company at all. 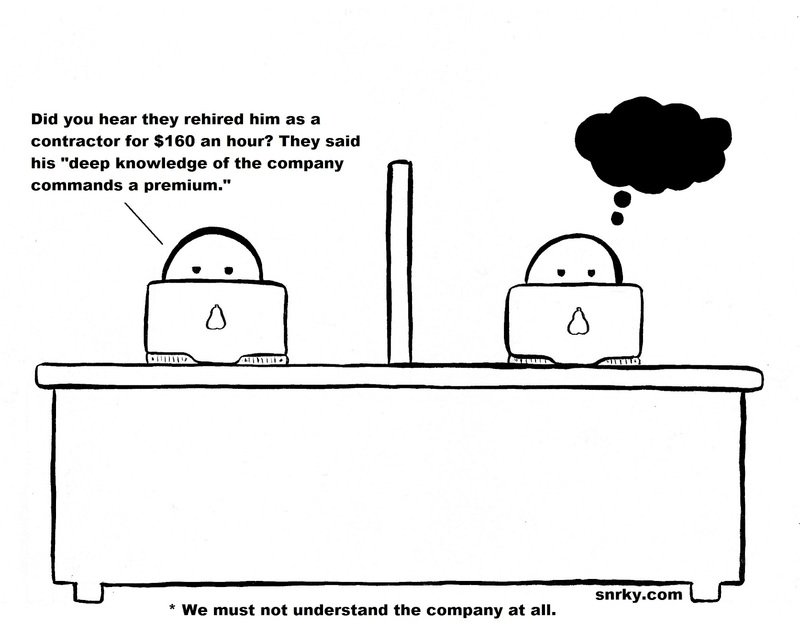 Snarky: Did you hear they rehired him as a contractor for $160 an hour? They said his "deep knowledge of the company commands a premium."